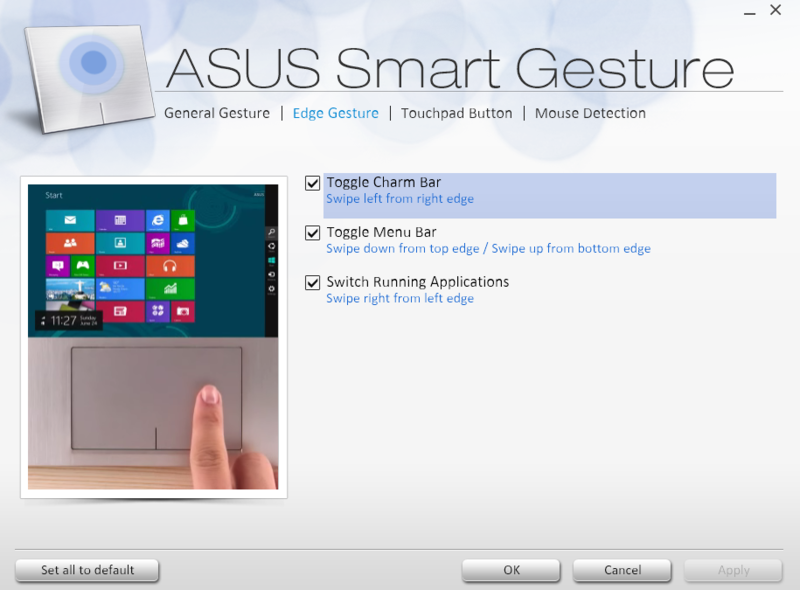 Hot: Asus updates touchpad driver for year old Zenbook, adds awesome Windows 8 support. Swiping over the edges of the touch pad open the charms bar, the app bar and the Windows 8 task/app switcher. It works like a champ, I am very impressed. will this driver be available for other ASUS laptops that are pre-loaded with windows 8? I hope it will! Best thing is to check with ASUS via email or have a look if the driver is available from their download page for the desired model.